Here are some Fun Facts and Quotes about and from Nikola Tesla! Check back as we add more! This wonderful quote leads us to believe that Nikola Tesla would have appreciated the fact that the main characters in The Tesla Conspiracy are women: “But the female mind has demonstrated a capacity for all the mental acquirements and achievements of men, and as generations ensue that capacity will be expanded; the average woman will be as well educated as the average man, and then better educated, for the dormant faculties of her brain will be stimulated to an activity that will be all the more intense and powerful because of centuries of repose. Woman will ignore precedent and startle civilization with their progress.” From a 1926 interview by John B. Kennedy, “When Woman Is Boss." Tesla is not really dead. Only his poor wasted body has been stilled. The real, the important part of Tesla lives in his achievement which is great, almost beyond calculation, an integral part of our civilization, of our daily lives, of our current war effort. Today, we, on this program, do not mourn Tesla. 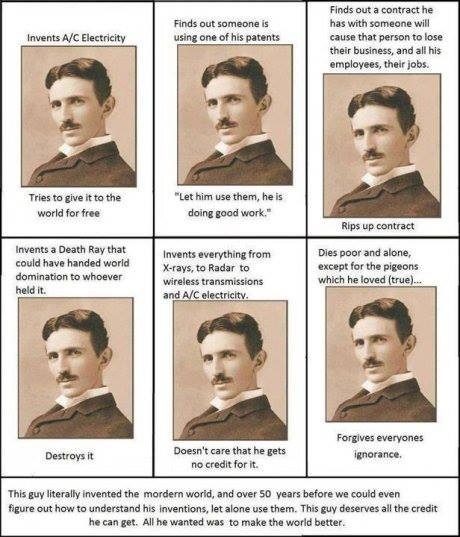 We do not honor him for we know that Nikola Tesla would not care for that. Why mourn Tesla? His life is a triumph. We are in the studio today just thinking of Tesla, talking of him among ourselves and to you who are listening to us, and we are playing some music and can sing a few songs which will think Nikola Tesla would have liked. 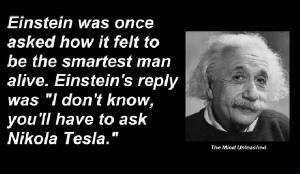 A few years ago, a fellow scientist of Tesla, Dr. A.B. Baron, also an American, wrote about him in his book on the induction motor, the motor which owes its existence to Tesla and which, now, is in the very center of nearly everything that moves on wheels in this country. Mr. Baron said were we to eliminate from our industrial world the result of Tela's work, the wheels of industry would cease to turn and our electric trains and cars would stop, our towns would be dark, our mills and factories dead. So far reaching is his work that it has become the warp and whoop of industry. Should Tela's work be suddenly withdrawn, darkness would prevail and we would slump into darkness. 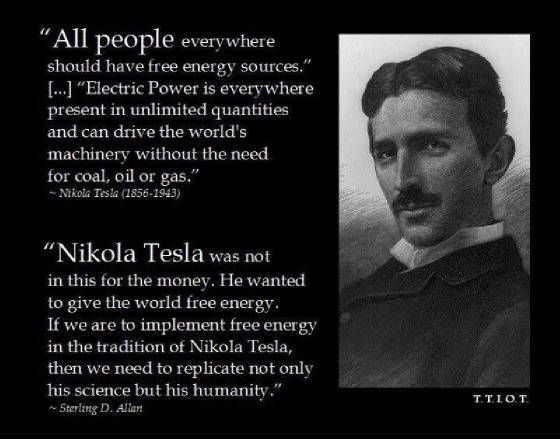 Nikola Tesla was a man of the future, always thinking ahead of his time. He predicted interplanetary communication and death rays that would make America impregnable from land, air and sea and war impossible. Not many years ago, he announced that he was working on a new cube that would produce radium for as little as one dollar a pound. That's fantastic. Fantastic? Unbelievable, impossible, that's what they said when Nikola Tesla predicted the advent of the radio many years before Marconi actually devised a workable radio. Tesla prophesized, some day we shall be as familiar with transmission of intelligence without wires and some day we shall transmit power without using wires. 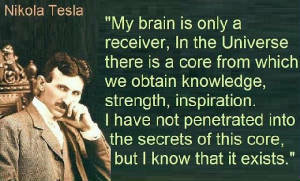 Watch for more terrific information about Nikola Tesla!